Well...more like 10 minutes on the paddle boat at the park. Either way....how adorable are these little sailors?! PS. Make sure to get your Favorite Things post ready to link up with me THIS Friday!! So cute! We took our pups to the lake over the weekend and saw so manny people boating and kyaki and I wish we would have gone! What a sweet little family! I hope you had a good weekend!!! Ahhh babies in life jackets= SO adorable! Oh goodness, those little sugars are presh! Those cheeks are to die for. 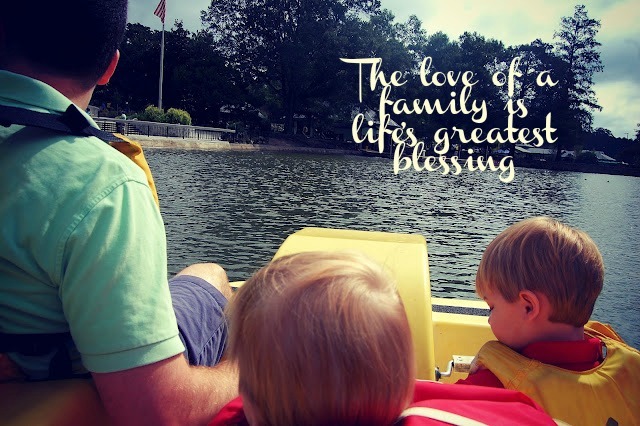 I'm far too weak for a paddle boat. Those are some of the most precious pictures I've ever seen. you have one beautiful little family! SO SWEET!!! God bless you all! Love this. So. Adorable. :) You guys look like you had so much fun! Blessings from Tiffany! okay...pretty sure you have the cutest little kiddos in the world! Oh my goodness!! SOO cute! what a fun outing! Oh my goodness! Your boys are absolutely adorable! Looks like a wonderful time! 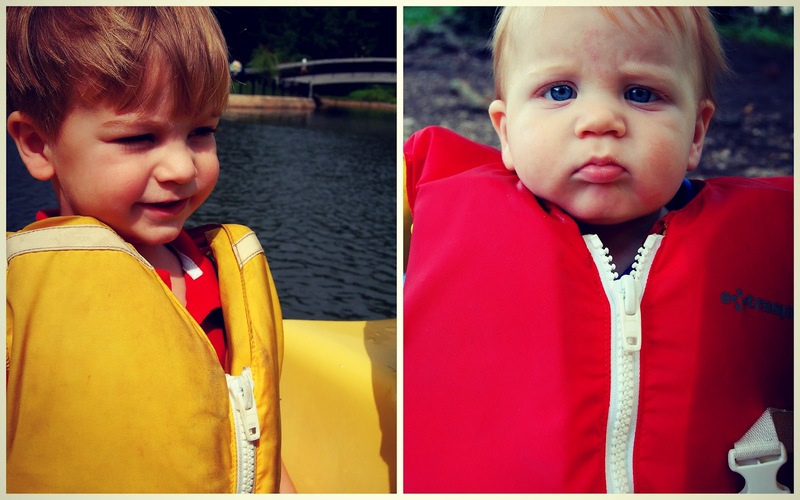 ohh my goodness, how cute are they in those life vests?! 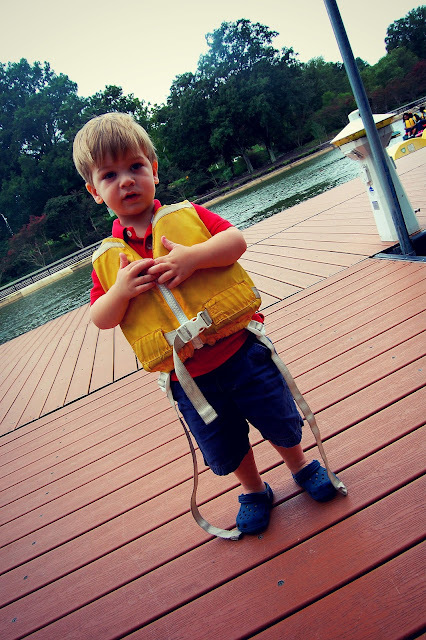 I love little kids in life vests. They're so big on them! haha...cute! 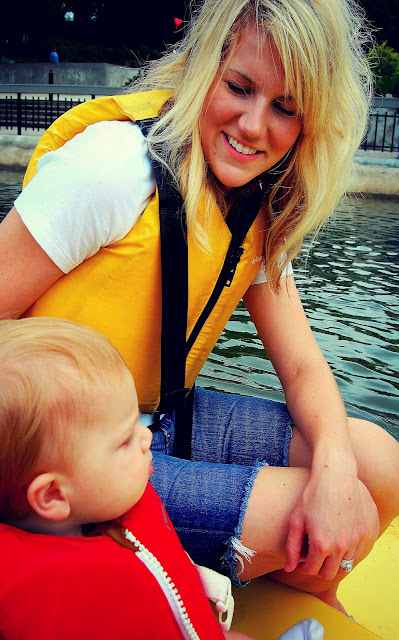 Paddle boats are so fun! I always have a hard time steering. Hopefully the boys enjoyed it! Ok that pic of your little boy on the right of that first pic made me have to click on this post. That is the cutest little face! Haha.